It took DiveBuddy.com around 7 years to achieve the 1 million unique user milestone. 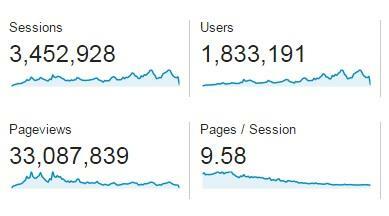 Now, after a little more than 2 years...we are about to exceed 2 million unique users. See I told you that you should have charged a dollar a head! Joking aside - congratulations Greg!